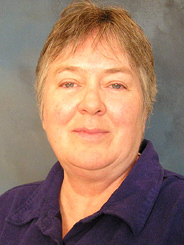 Christine Johnson is a co-founder ( in the 1970s ) of Metis Press, publisher of Lesbian Feminist Literature, and a founding member of the national Women In Print network. As a blue-collar lesbian construction machinist, Johnson was a pioneer in opening up exclusively male, high-paying union construction jobs to women and minorities, and was a board member of Chicago Women in the Trades. Other affiliations include founding membership in the U.S. Alliance of Lesbian & Feminist Printers, Feminists in Alternative Business, and as a collective member of Black Maria, a Journal of Feminist Literature. She and partner Nancy Poore now live in Michigan.